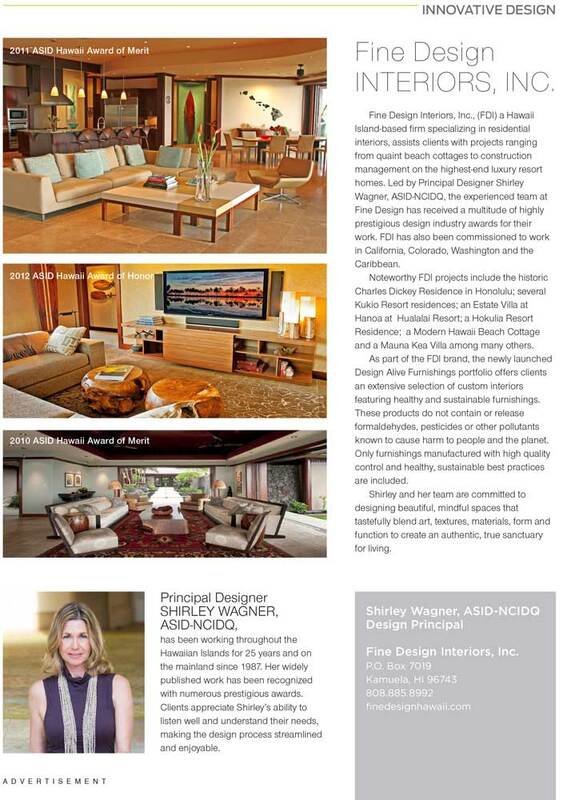 Fine Design Interiors, Inc. has won “Best of Design” on Houzz®, the leading platform for home remodeling and design. 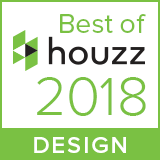 Fine Design was chosen by the more than 40 million monthly unique users that comprise the Houzz community from among more than one million active home building, remodeling and design industry professionals. 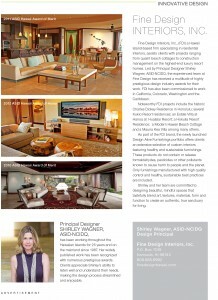 Fine Design Owner and Principal Designer Shirley Wagner is featured in Modern Luxury Hawaiʻi in a profile offering a snapshot of some of her favorite obsessions – works by artist Mayumi Oda, classic Parisian textiles by Pierre Frey, luxury home furnishings by Holly Hunt, and the elegant oceanfront setting of The Spa Without Walls at the Fairmont Orchid. Fine Design is pleased once again to be a recipient of the Best of Houzz 2017 Design Award. 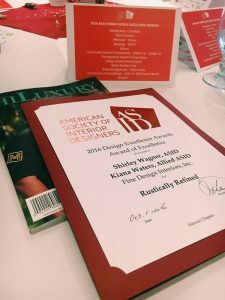 The award recognizes Fine Design as having some of the most popular images on Houzz®, the leading platform for home remodeling and design with more than 40 million monthly users. 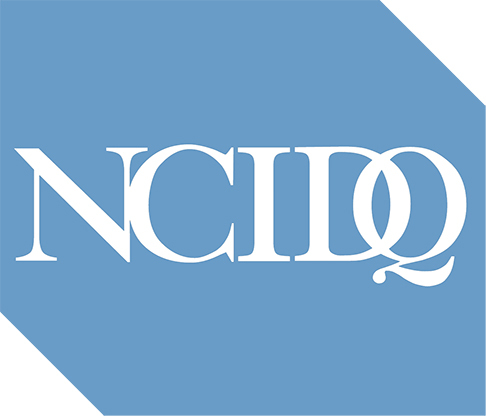 Click on the Houzz badge to see our profile and don’t forget to add our projects to your ideabooks! 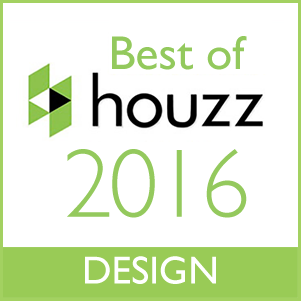 Fine Design Interiors is honored to receive the Best of Houzz 2016 Design Award for our profile on Houzz.com. 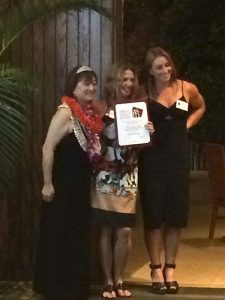 Awards are given to the top designers whose projects have gained the highest popularity amongst the Houzz community. 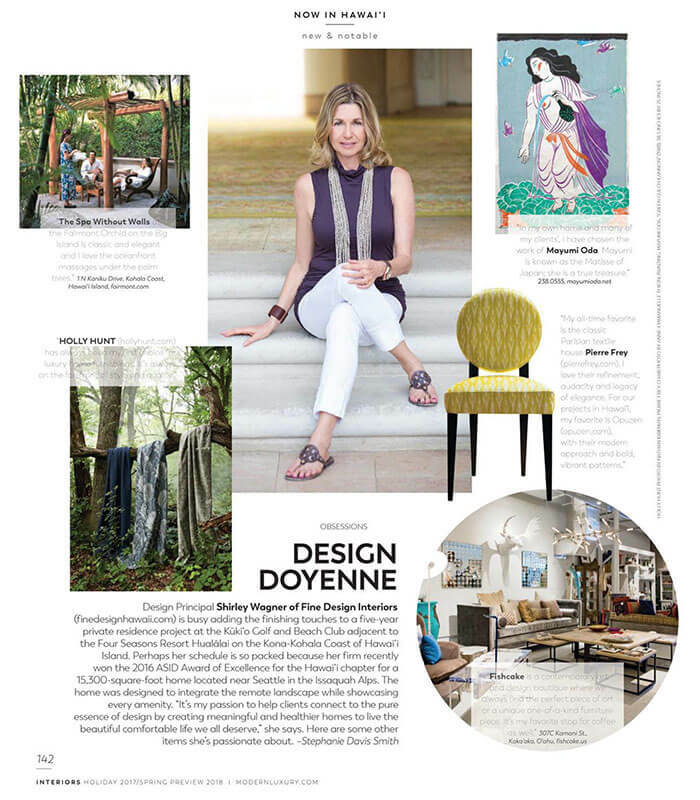 Check out Green Magazine (Hawaii’s Sustainable Living Magazine) and Pacific Edge (Hawaii’s Business and Lifestyle Magazine) 2nd QTR ad. Click here to read.